I rarely get coughs, colds, and flu. I guess it's because I take vitamin c every day. I take around 500- 1,000 mg of vitamin c alongside with the fruits and vegetables that I eat. There are so many kinds of vitamin c today and sodium ascorbate is gaining popularity because they dubbed it as the "non-acidic" vitamin c.
According to vitaminfoundation.org- Sodium ascorbate is a form of vitamin C that has been bound to the mineral salt sodium. As vitamin C, the basic properties and health benefits of sodium ascorbate are virtually identical with ascorbic acid, but the mineral salt buffers, thus lowers the acidity of ascorbic acid. The buffered sodium ascorbate may enter the blood stream more slowly than ascorbic acid when taken orally. So those who are veering away from ascorbic acid because it causes stomach pain, sodium ascorbate is what you need if you think you need an added boost in your vitamin c intake. I've known COSMO Cee for more than a year now and 3 months ago I decided to take this brand because I'm acidic. To know more about the product click CONTINUE READING please and discover what this brand has to offer. 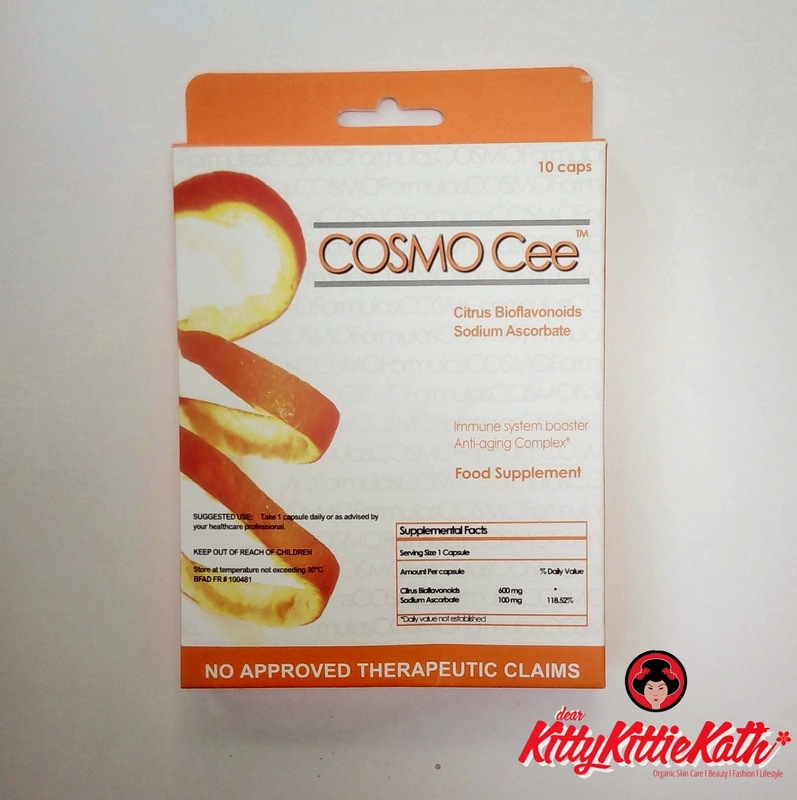 Cosmo Cee is the only Vitamin C brand in the market that not only has 700 mg Non-Acidic Vitamin C, but also has a Citrus Bioflavonoids formula. The right amount and formula that we need—making us enjoy its full range of benefits. Because of our exposure to environmental toxins, stressful- busy lifestyle and the prevalence of diseases, Cosmo Cee is the perfect partner to boost the immune system, energy ,vitality and for good appearance. According to the websites I've visited, Bioactive flavonoids, vitamin P, are found in living fruits and vegetables. The various bioflavonoids found in citrus include hesperidin, quercetin, diosmin, naringin, & rutin among others. These phytonutrients are vital for proper absorption of Vitamin C. In fact, studies have proven their ability to enhance and prolong the action of vitamin C.
Many vitamin C supplements consist of synthetically derived ascorbic acid. This is virtually ineffective. Without the natural citrus bioflavonoids, ascorbic acid is easily oxidized and can actually be harmful to the body. This is why whole food nutrition is so much better than synthetically derived supplements. 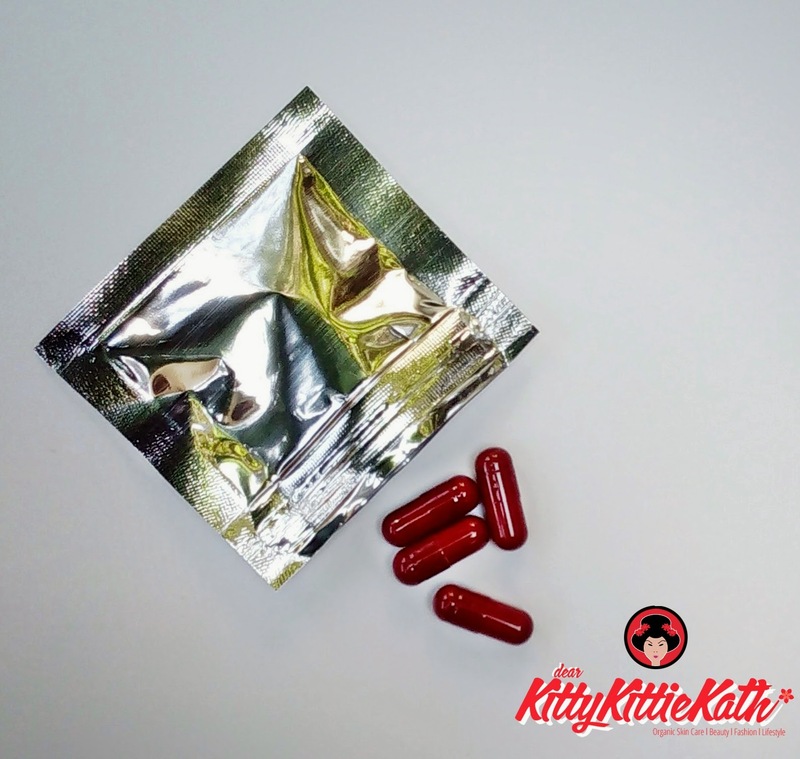 instruction for use: Take 2-3 capsules 30 minutes before or after meal. 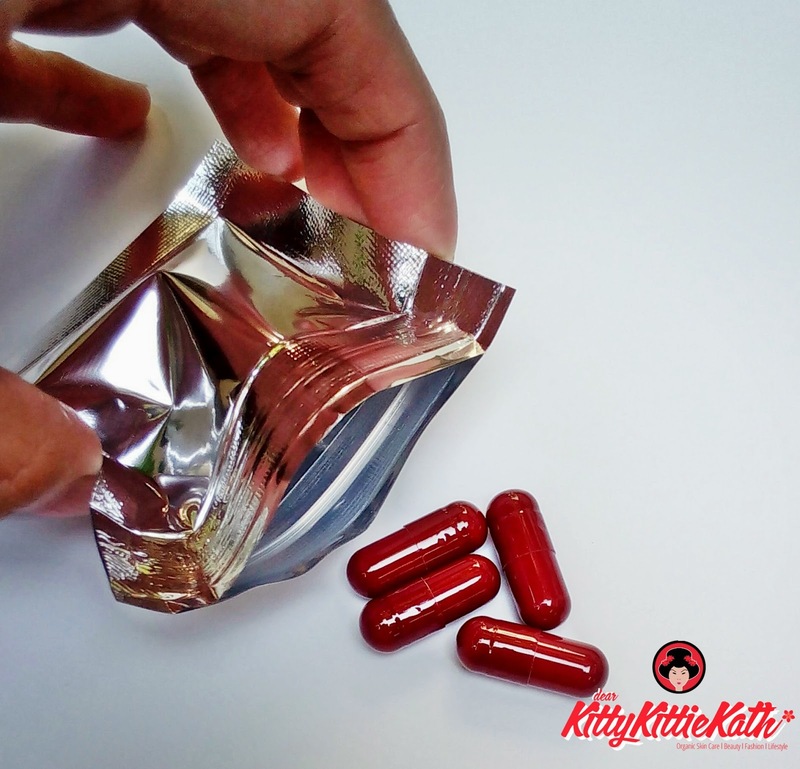 The product comes in a resealable, easy to open plastic pouch. 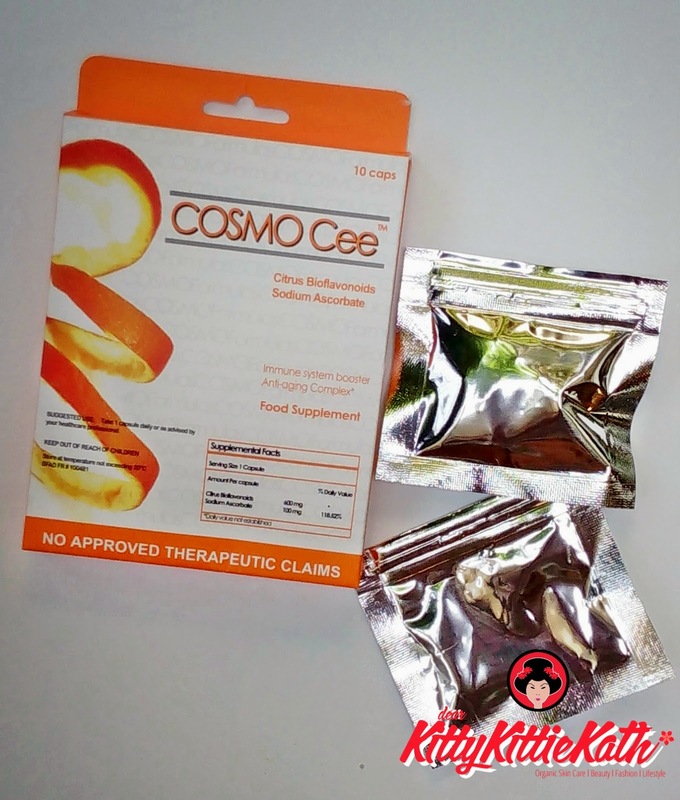 Cosmo Cee Vitamin C is easy to swallow. This vitamin c doesn't have funky odor or weird smell. No stomach ache, nausea, dizziness or allergic reactions even if I take 2 capsules before or after eating. Contains citrus bioflavonoids known to have anti-inflammatory, anti-allergic and anti-aging effect in the body. It's sodium ascorbate so less acidic. I rarely get cough, colds and flu in a year since I take vitamin c on a daily basis. With this brand, I also experience less fatigue and my wounds heal faster. Can also be bought per piece. There's a batch, manufacturing and expiry date printed on the plastic pouch. Will I purchase? Yes, this is one of my daily source of vitamin c aside from natural source from the foods I eat. I give this a 4.75/5 rating. Based on what I've read, this type of vitamin c has more benefits on anti-aging and anti-oxidant plus immune booster too. This type of vitamin c is non-acidic, I will recommend this to those who are complaining of stomach ache when taking ascorbic acid. All in all, I had a great experience with the product. There is somewhat inconsistency as regards the dosage....should i take a capsule a day or 2 to 3 capsules a day?....what is the recomended dosage? That's the dosage indicated on the box. You can take 2 a day for maintenance. I guess the 3 capsules a day is the highest dosage for those with Vitamin C deficiency. Thanks! Can Myra E 400 softgel capsule and Cosmo Cee Vitamin C capsule be taken at the same time? Yes you can take it but not the same time. Give interval let's say after 10 minutes or take Myra-E at bedtime while Cosmo Cee at daytime. I eat a lot of "bad" food, I smoke, and I rarely exercise, if ever. I rarely get coughs, colds, and flu too! I've never taken vitamin supplements religiously so why should I start now? Our body still needs that extra vitamins if we don't get enough from the food that we eat that's why it's called supplement. Maybe you are not experiencing the bad effects now. You're lucky but I'm sure that those bad habits will take a toll on your health in the future. So why should you start taking Vitamin C? To prevent the weakening of your body in the long run. It's still best to get your vitamins from natural sources but if it's not working, vitamin C supplements will do the job. is cosmocee pwede vah sabayin ng met ? Pwede po bang uminom ng Cosmo cee vit. While nagpapa breastfeed? ate pwd po bang pag sabayin ang 2 capsules sa pag inom sa isang araw? Yes, pwede naman yung isang dose lang ang 1,000 mg ng Vitamin C kaya lang baka hindi ka pa sanay. Kindly check also with the pharmacist since it's over the counter naman. In my opinion pwede as long as hindi ka acidic. hi ate . nklgay dn po sa description na anti allergy ang cosmo cee . i min hnd sya gmot sa allergy but nkktlong sya pra mplkas dn ung pnlban ng ktwan sa mga allergy? . ung case ko nmn po is knting mkaamoy ako ng mga gabok or usok is binabahin na po kgd ako tpos ksnod noon prngngkksipon npo kgd ako . at isa pa po part dn po ng skin ang scalp mkktlong dn po kya ito na panlban sa dandruff? Yes, pinapalakas ang immune system natin pag nag-take tayo ng kahit anong brand ng Vitamin C. Pero kung talagang meron ka alergic rhinitis, you need to take meds na para dun hindi lang Vitamin C. Wala ako alam if makakatulong sa dandruff yung Vitamin C eh. Hi, Can i take 2 tablets in 1 day?. I will take the one in the morning while the other one is before sleeping at night. Please help me. I need some advice. Good to hear! Call center agents really need Vitamin C for their immune system. Consider your workplace and time, you need to boost your immune system. Hope this post will help more call center agents like you. Bumili ako ng cosmo cee kahapon lang, ang sabi sa akin ng sales lady ng cosmo cee, pwedi daw inumin ng 11yr old. Is that right? Yes, vitamin C lang naman ang Cosmo Cee eh. Pwede ang Vitamin C sa 11 years old as long as kaya nga inumin ang capsule. Kindly ask the dose na lang sa sales lady for his age. Bumili po ako ng cosmo cee, etc vitamins po ba na eto maggagain po ba ako ng weight? Anung masmaganda inum in po ito, morning or before bedtime? At pampasarap po ba ito ng tulog? I think pwede mo check kung anemic ka or hindi. Wala naman ako nakita na masamang effect sakin ng cosmo-cee the time I'm taking it. Saka Vitamin C doesn't cause yung nahihimatay na effect. Ang alam ko na side effect sa iba is stomach pain. Kindly check with your doctor, baka need mo mag iron. This Vitamin C is non-acidic. First time to hear this experience. Do you take other supplements other than Cosmo-Cee? I'm afraid I may not be able to answer this question as I really don't have an idea why nag-iiwan ng dark scars. Hi please answer my question. Ok lang ba i take to sa mga babae na may PCOS. .? hai po, nagtake kasi ako ng pills sa gabi, gusto ko po magtake nitong cosmocee at sasabayan ko ng myra e 400IU ok lng po ba na sa umaga ko nlng sila iinumin? Isa pa po ok lng po ba ito sa breast feeding mgtake ng cosmocee? sana masagot nyo question ko.